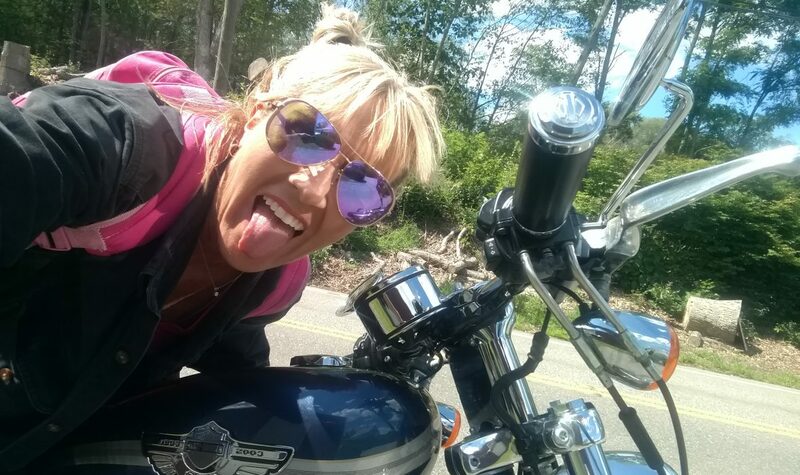 The midlife crisis of a Harley-riding, minibun-wearing, rebel without a clue from Rhode Island exploring the deep south…for your entertainment. Can you see the forest for the trees? Oh boy *eye roll* another meditating, yogi-wannabe, vegan, soy-slurping, “peace-is-love” advice columnist. I don’t blame you for thinking that, based on the title. In all honesty, though, I’m way too ADHD to meditate, I HATED yoga, I love a good burger, and soy gives me gas. I tried meditation and yoga because, like most Americans, stress was my natural state. There’s so much to worry about: Deadlines, increasing workloads, increasing costs of everything without increasing pay, physical health, mental health, family, pets…and the list goes on. It’s not original by any stretch of the imagination. Yet we can’t quite pull the trigger most of the time. I pulled the trigger. But I still have times that I’m plagued with doubt. I still find myself distracted at times because I haven’t met all my goals yet. But then I have moments like this one below (and the one above) that I’m able to capture with my camera because I was paying attention. Photo taken by me Saturday, February 10, 2018, on my morning walk in Rhode Island. And it reminds me to be present so I don’t miss these moments in the future.